Happy Easter! I'm taking a break today from my current series for shots fitting the occasion. 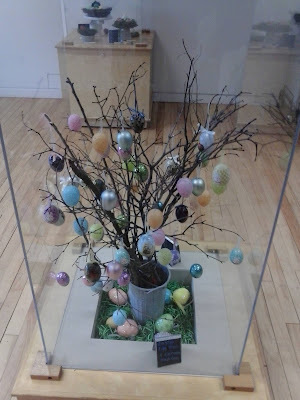 These first shots date back to Good Friday 2018, and I felt they were appropriate to hold back for this Easter, as I hadn't started setting up posts until after last Easter. I paid a visit that day to the Canada Agriculture And Food Museum, housed on the grounds of our Central Experimental Farm. 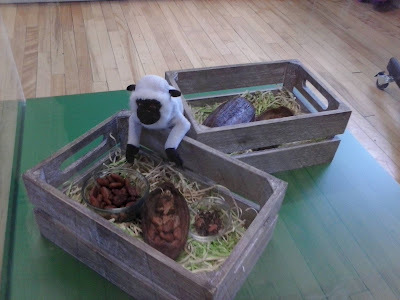 A working farm, it houses animals and information in a series of barns and other buildings. 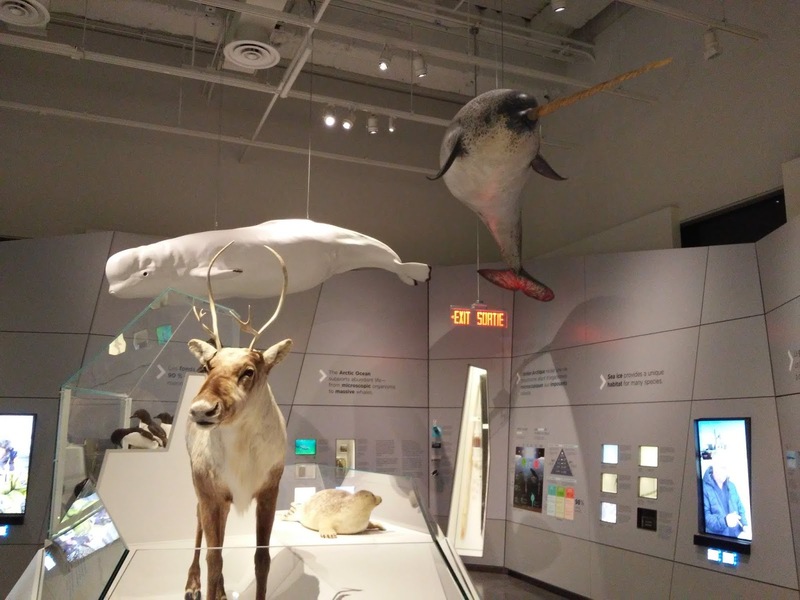 One of those is a building called the Learning Centre, and on its second floor, two large kitchens for demonstrations can be found. 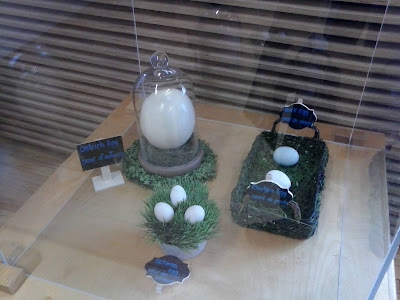 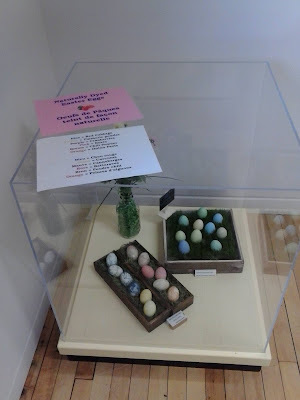 In one of them were several displays for the Easter season, with an emphasis on eggs. 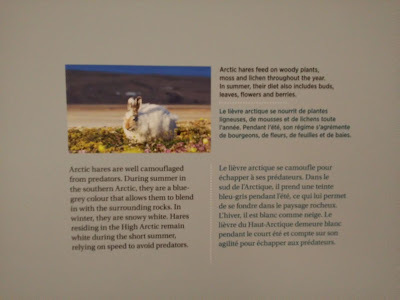 Back in early January I visited the National Gallery of Canada, and among my shots taken on that date were some paintings that fit the other side of the Easter weekend. 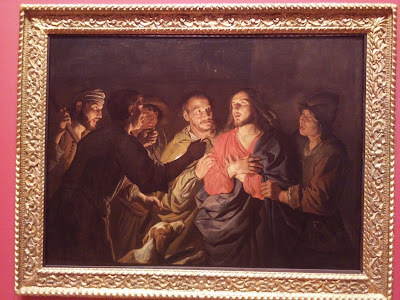 The Arrest Of Christ is an oil painting done circa 1630-32 by the Dutch artist Matthias Stom, who spent time in Italy being inspired by Caravaggio and others (this painting was likely done in Rome). Stom depicts Christ and Judas highlighted at the moment of betrayal, while deliberately choosing to depict those arresting Christ in more contemporary clothing of his own era. 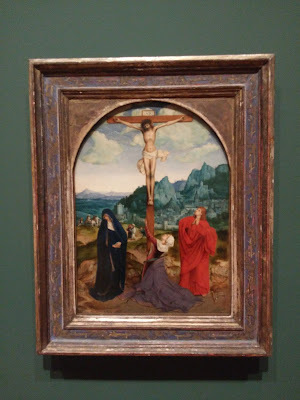 The Crucifixion is an oil painting circa 1515 by the Flemish artist Quenten Massys. 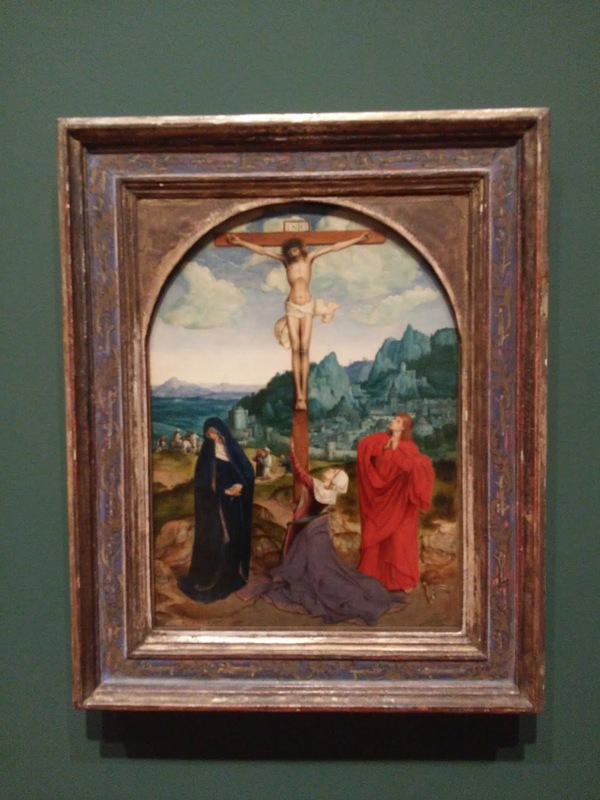 Christ is on the cross, and his mother Mary, Mary Magdalene, and John the disciple are below, each caught up in their grief. 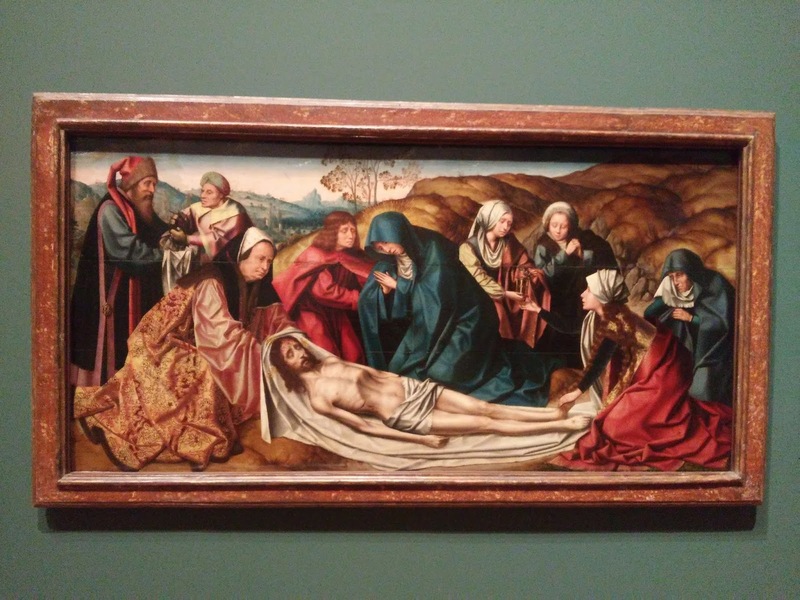 The Lamentation is from the workshop of Massys, done at some point around 1511, with Christ's followers tending to his body after it has been taken down from the cross. This painting is based on a large altarpiece Massys was working on, and would have been done by one of his apprentices. 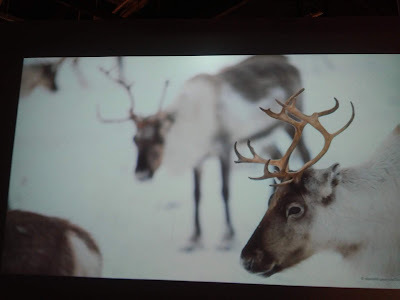 This is from the workshop of Peter Paul Rubens. Christ dates to around 1612, and was done by one of Rubens' apprentices. His own version of this hangs in a Vienna gallery, while this would have been done side by side with the master himself. 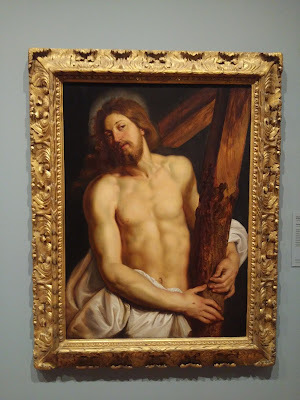 It was the habit of assistants to copy the work, though this one lacks the vitality of Rubens' own handwork. 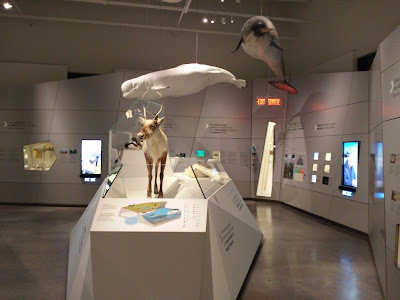 The Earth Gallery is the next space within the Canadian Museum of Nature as one works their way downstairs. 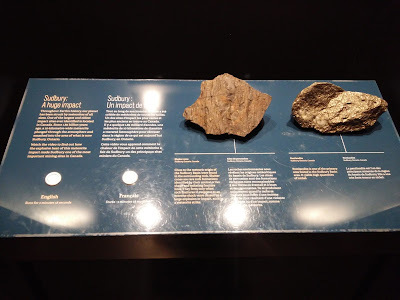 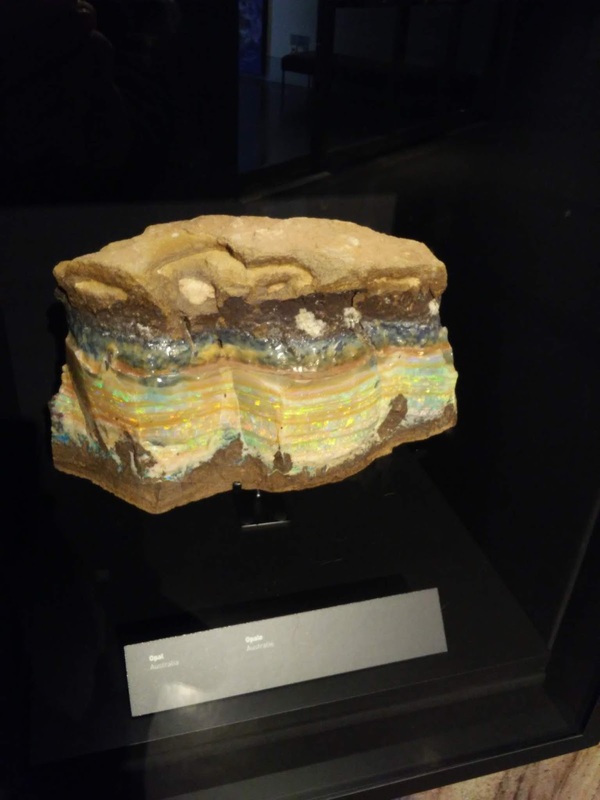 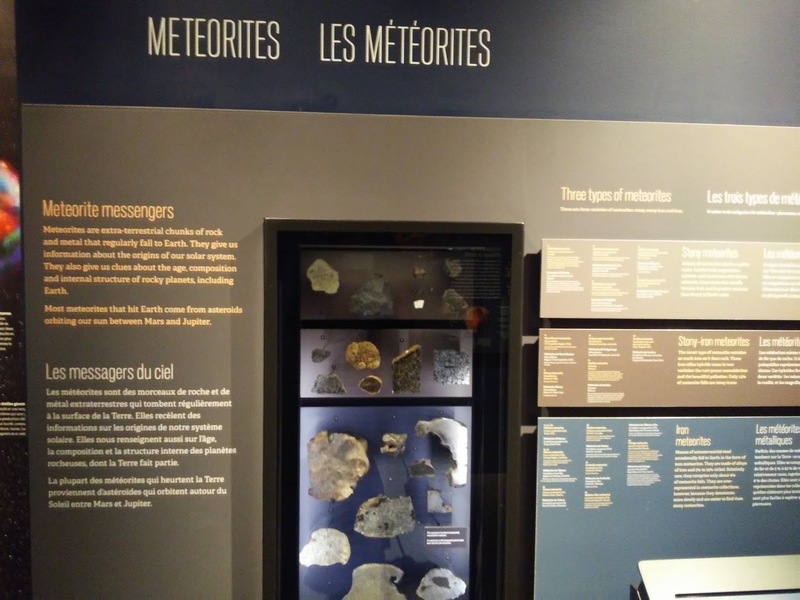 It examines rocks, minerals, and the geological processes of making the world and that continue today. 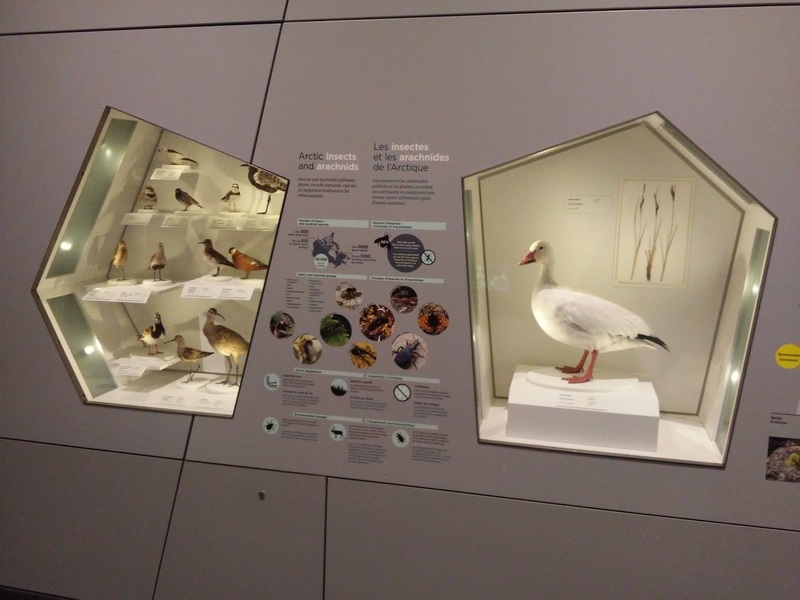 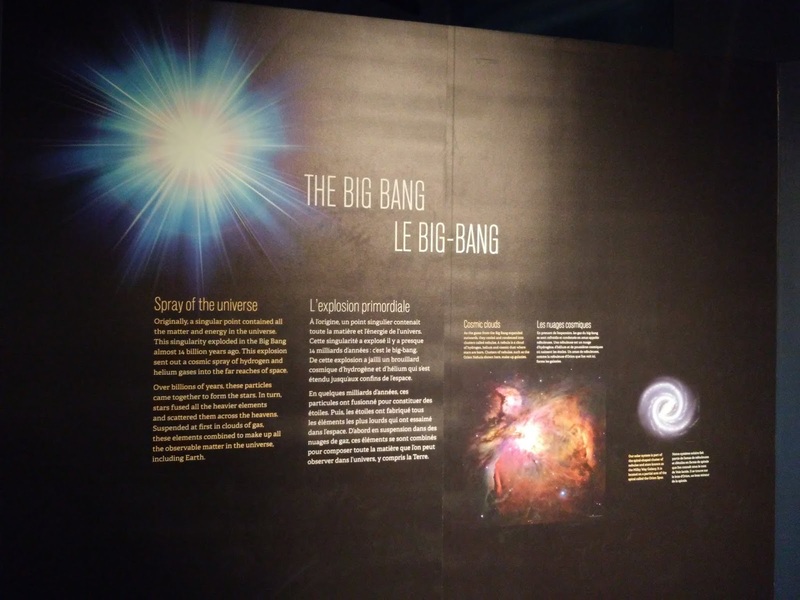 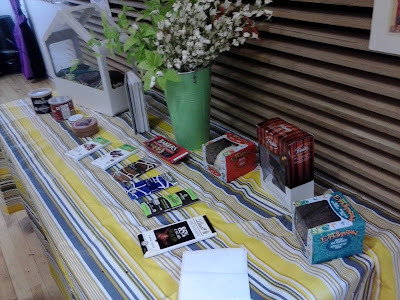 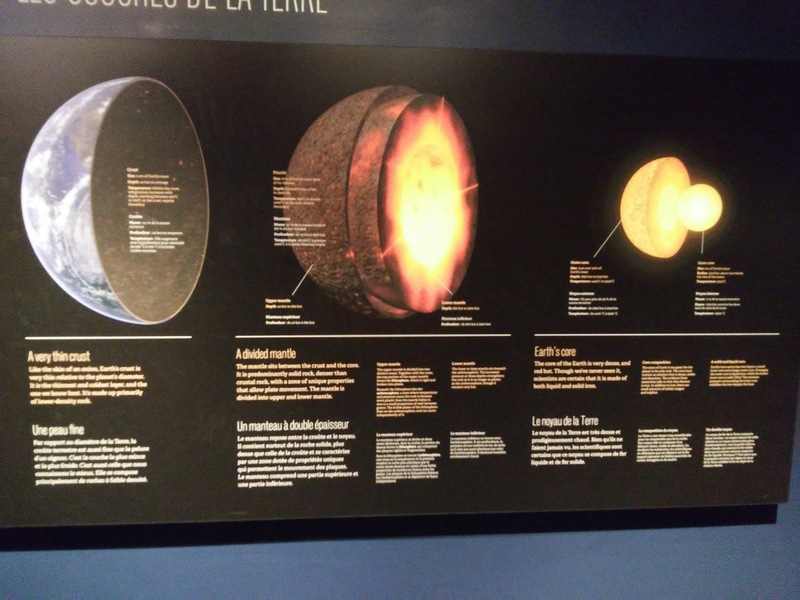 Items are displayed alongside panels and videos, as well as interactive elements. 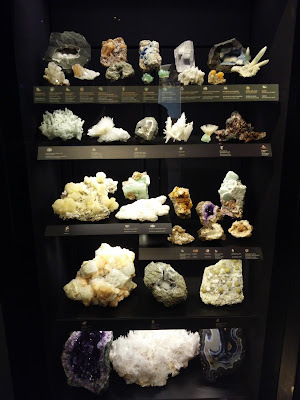 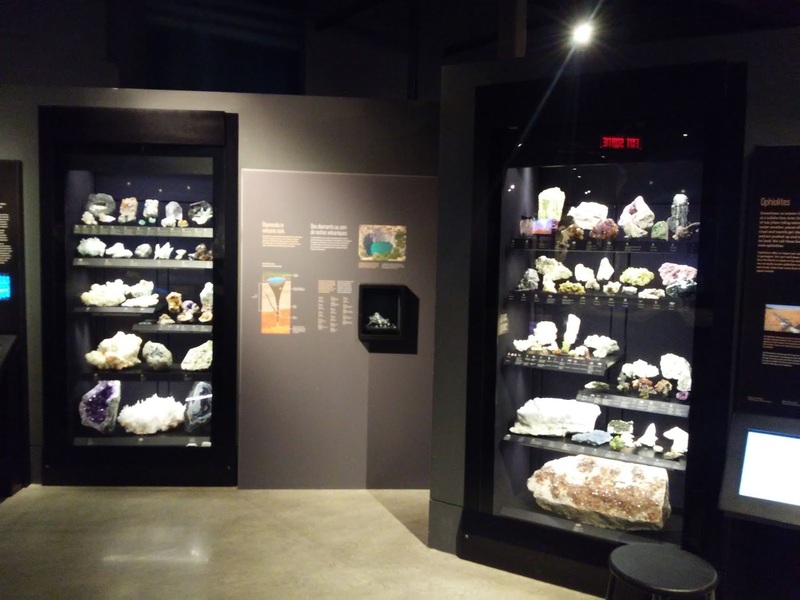 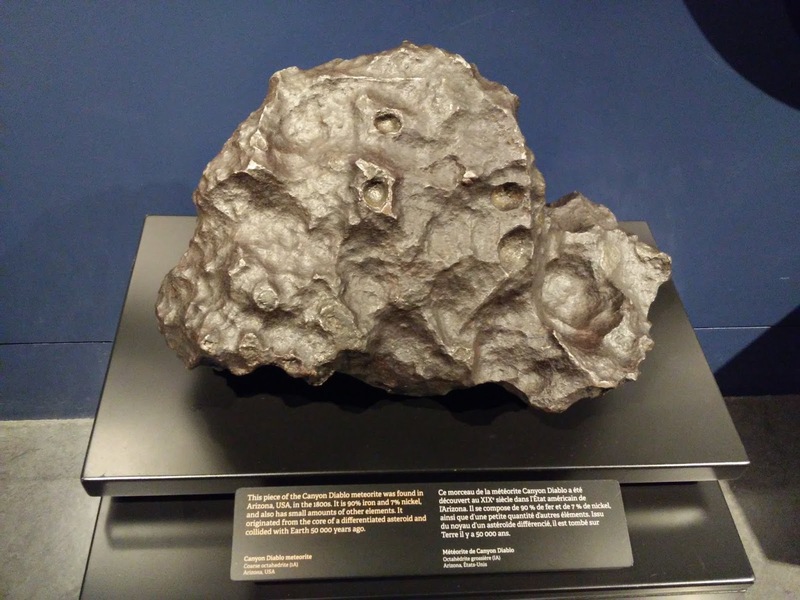 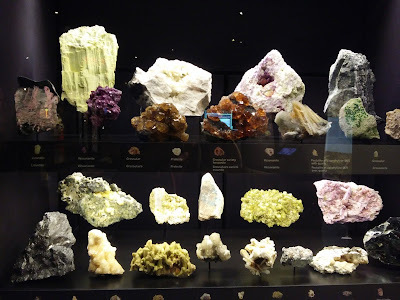 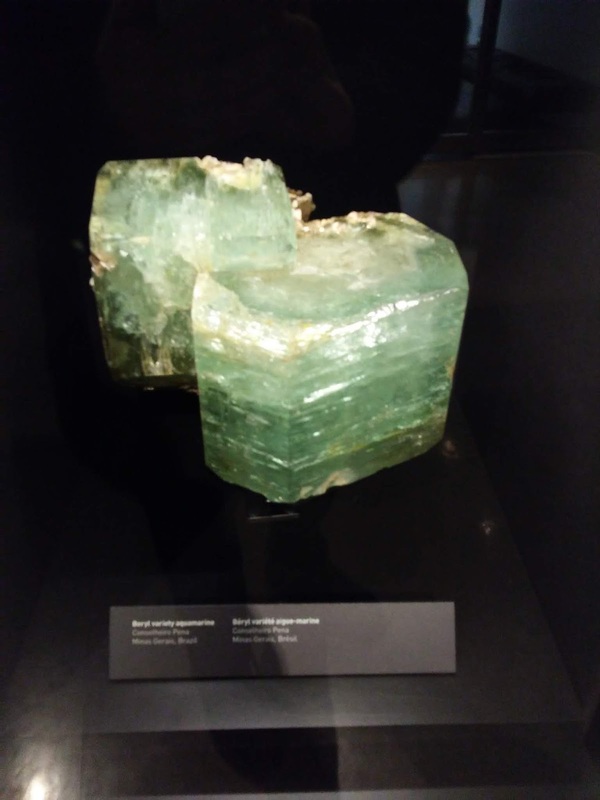 There are numerous display cases throughout containing things like rocks, minerals, and refined products. 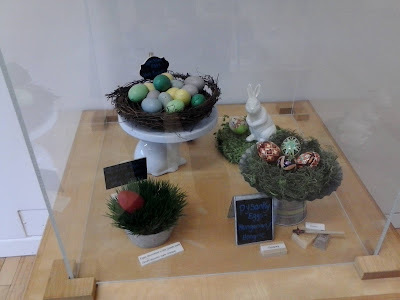 I'll have more from here in coming days, though tomorrow I'm taking a break from the series for an Easter themed post from two different locations. 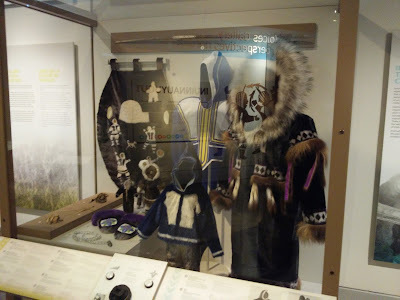 Picking up where we left off, here we have clothing and artifacts typical of Inuit people from time immemorial. While some might be older, many of these are relatively contemporary, but made with regard to the same cultural influences passed down for generations. 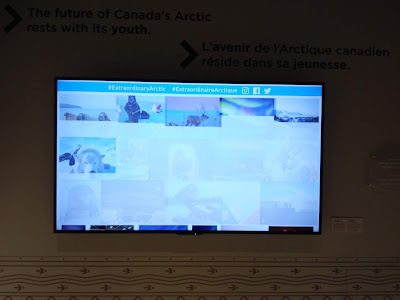 This part of the Arctic Gallery really shows the collaboration done with indigenous peoples of the north to create this space. 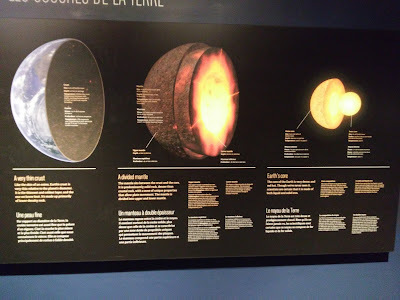 Many of the panels are less third-person and more 'our story' in emphasis. 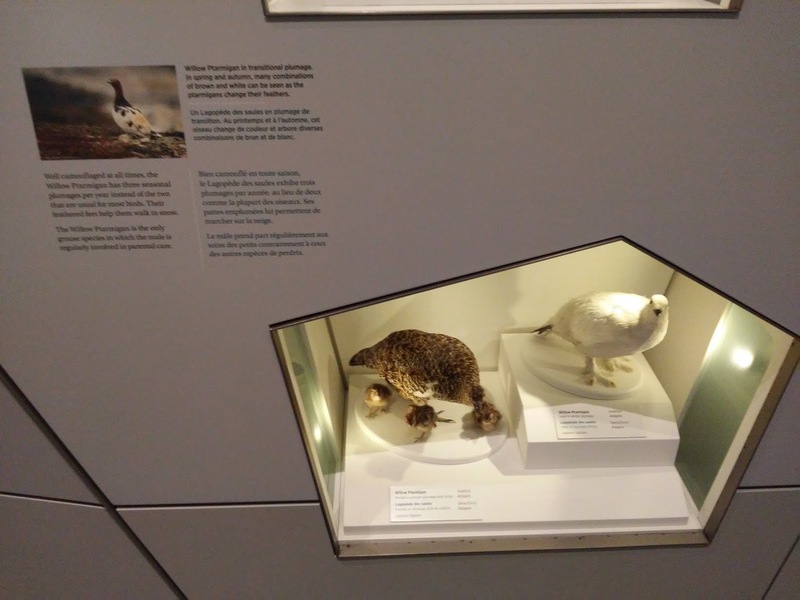 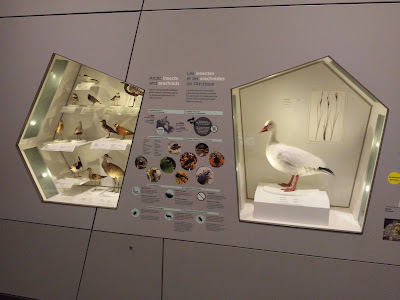 Two display cases, side by side. 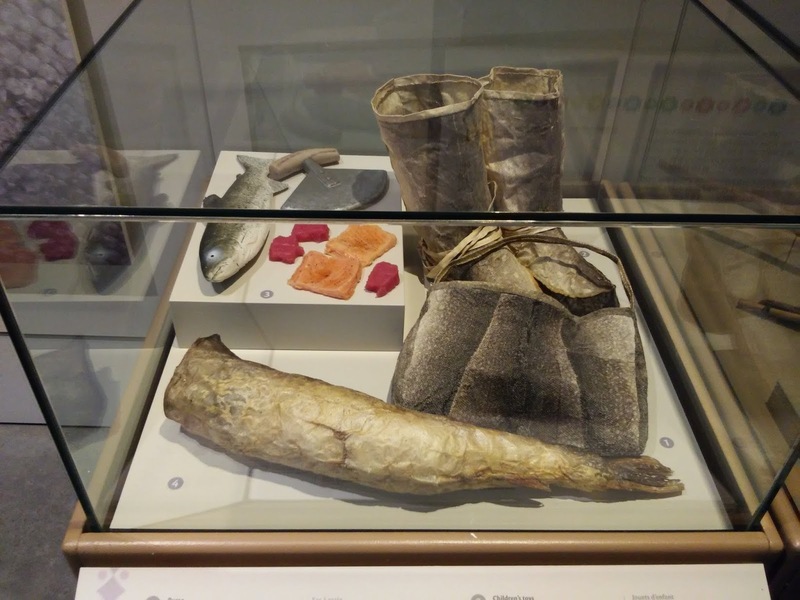 The items at top left are plastic toys created in the current era to help children learn about fishing through play. 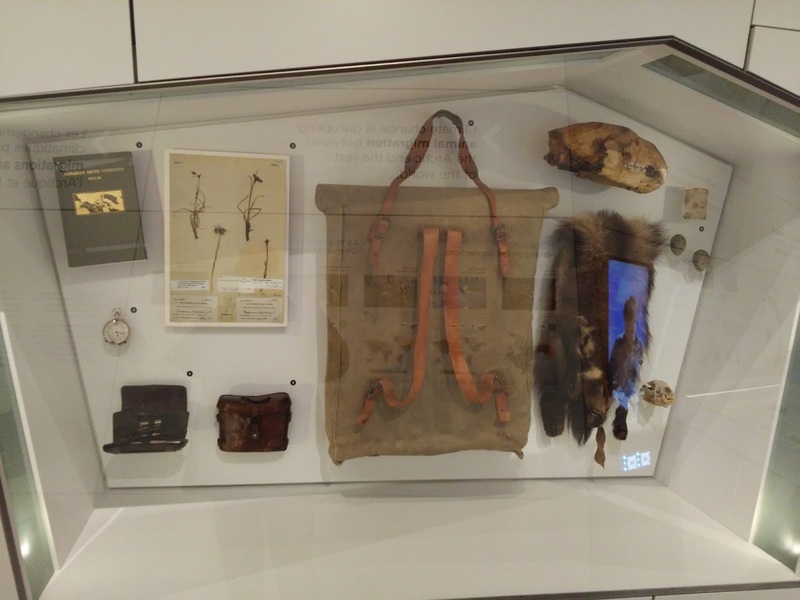 The boots, purse, and tool bag are contemporary as well, but done in the same way as has been done for thousands of years, using materials like fish skin, seal skin, and caribou sinew. 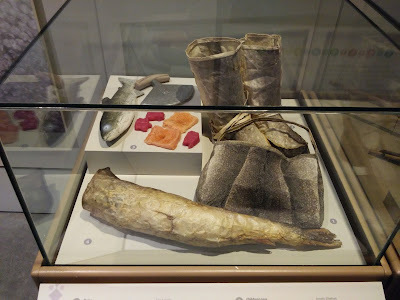 The tool bag makes use of the better part of a fish skin for carrying tools needed, and these items were created to show these old ways. The items in this case are a century old, used as tools for fishing- the rod, the lure, the stringer, or an item called a leister, used to spear fish in rivers or from the sea ice. 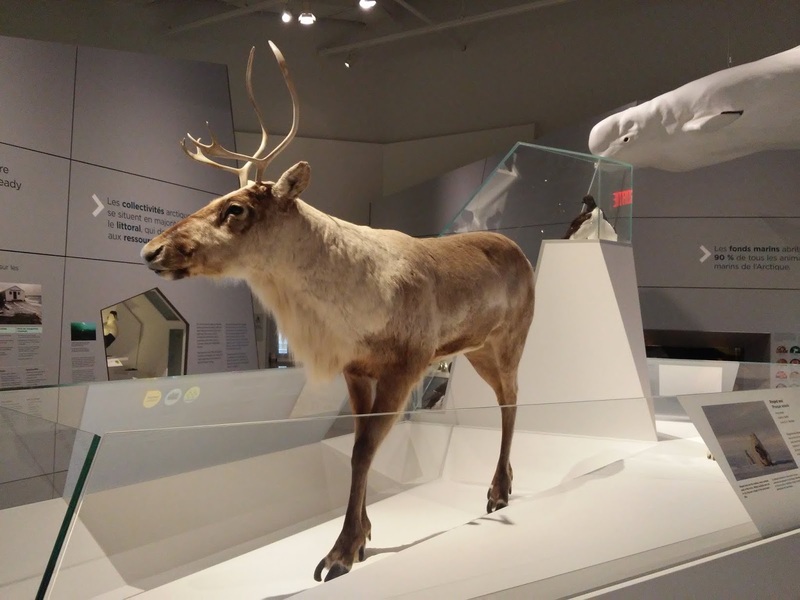 Materials used in items like this include wood, caribou bone or sinew, sealskin, or copper. 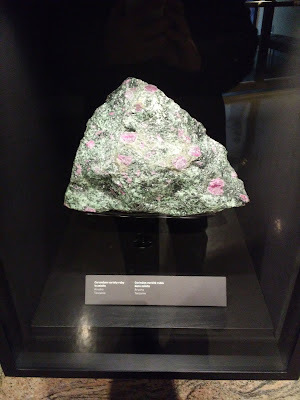 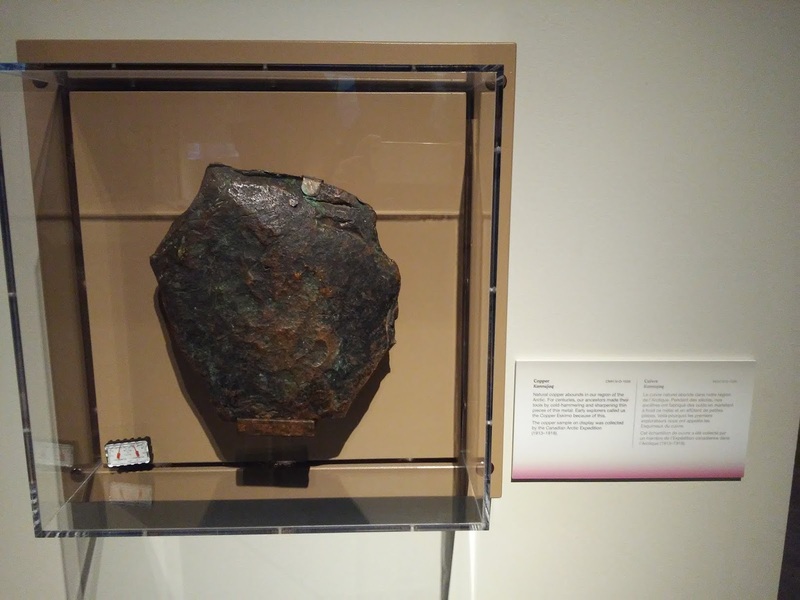 This copper sample was collected by the Canadian Arctic Expedition. 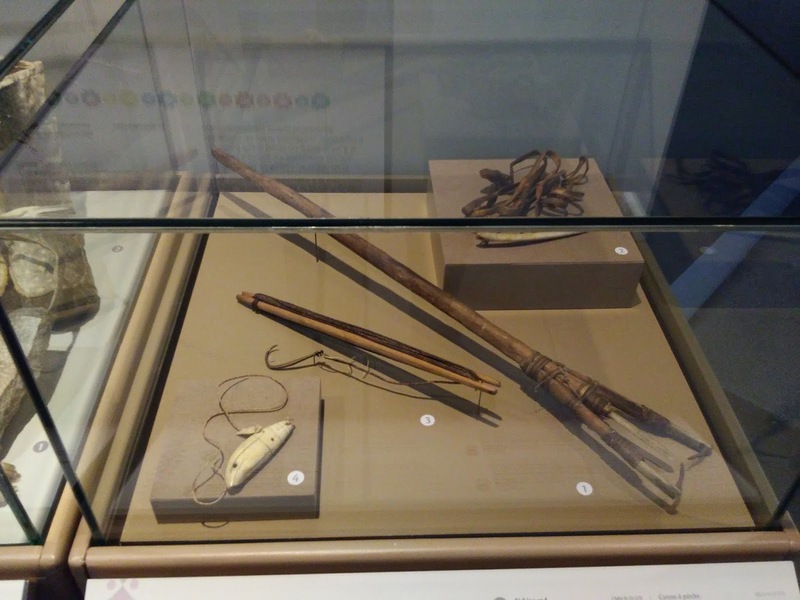 Indigenous peoples of the far north were making use of copper for thousands of years in their every day life. 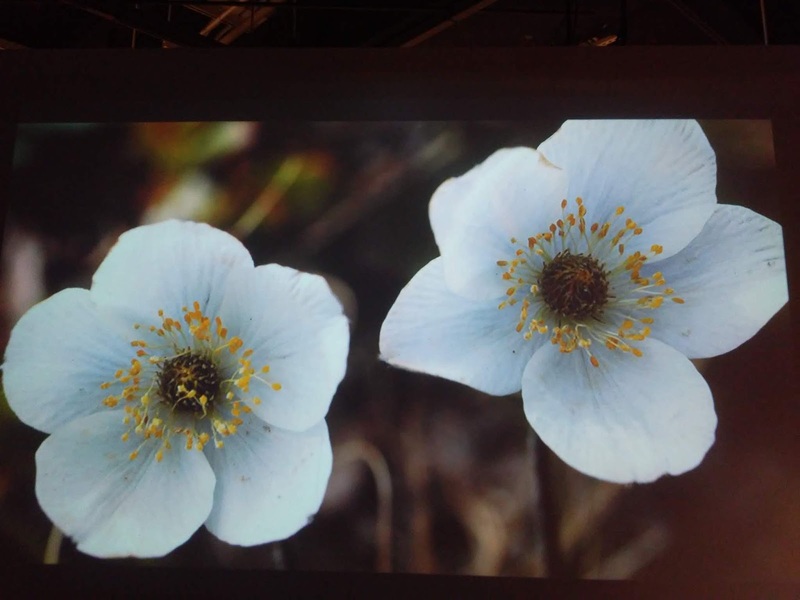 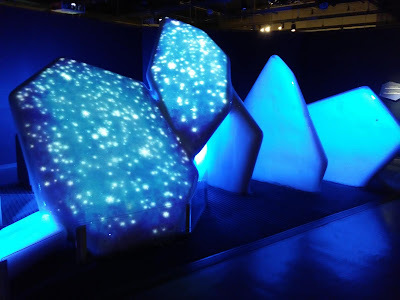 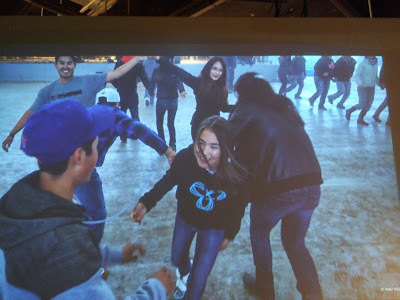 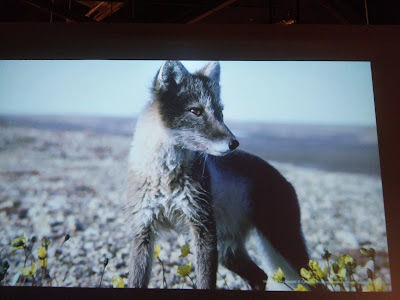 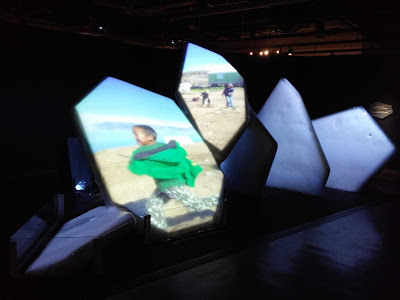 Emerging from the exhibits, one comes into an area with a video screen that shows a wealth of images from the Canadian Arctic, both nature and people. From plants to animals, big to small, the Arctic is home to a huge and diverse ecosystem. Like the Arctic hare, the Arctic fox is known to shift colours in its fur. 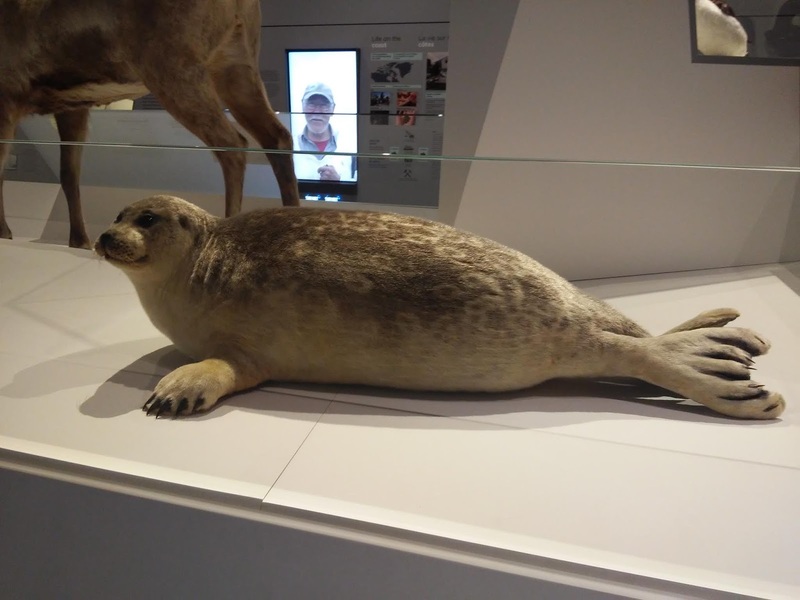 Near the caribou is the ringed seal. 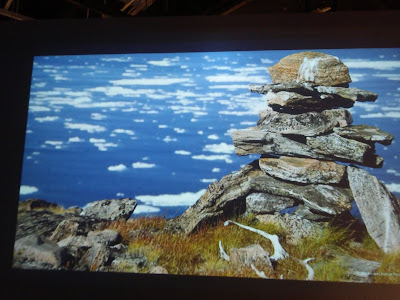 For thousands of years people have been at home in the Arctic. 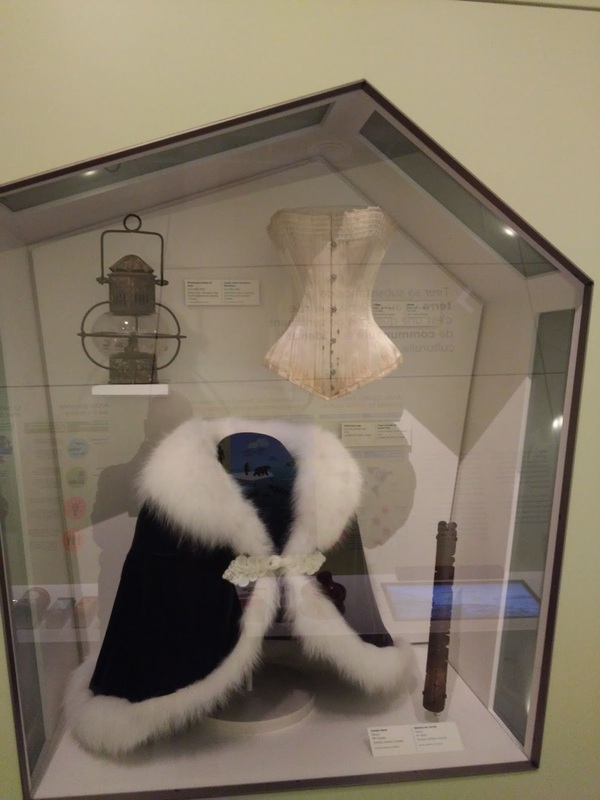 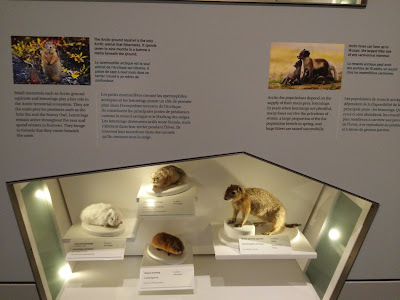 This display case shows some of the products made from resources of the Arctic- fur coats, or the corset and lamp oil that would have found part of their material in whales. A polar bear specimen is close by. Climate in the far north has not always been what it is, nor will it always be. 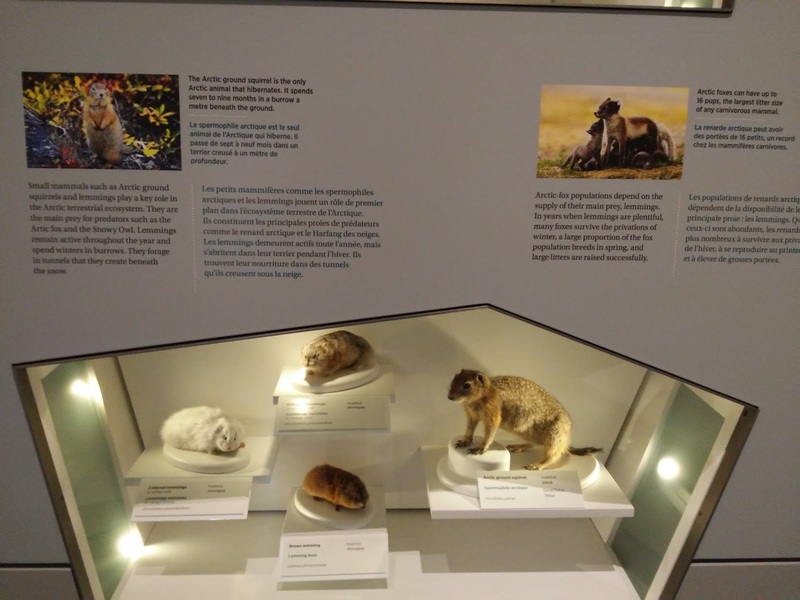 A skeleton and skull are displayed side by side of animals that no longer exist in this form. 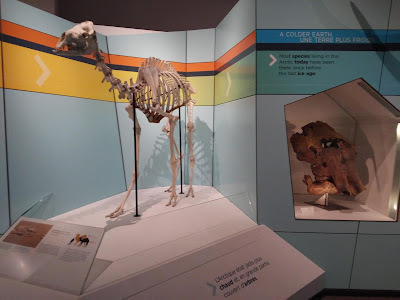 The High Arctic camel is seen at the left, a replica based on fragments of bones found on Ellesmere Island. The bones were 3.5 million years old, and it is thought that the animal would have been 30% bigger than current day camels. 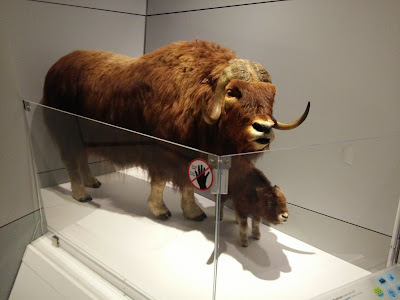 The skull of a mammoth is at right; with the end of the last ice age, the various species died out several thousand years ago. This 3D map of the Arctic uses a white lit line to designate the Arctic Circle- that latitude beyond which the sun does not rise on the longest night of the year, nor set on the longest day of the year. 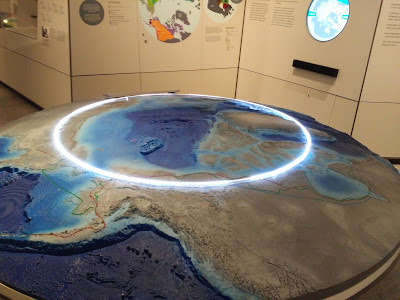 Other lines on the map designate the treeline or continuous permafrost. Displayed here are recovered artifacts of the ill fated Franklin Expedition of the 1840s, sent out to find a route through the Northwest Passage. 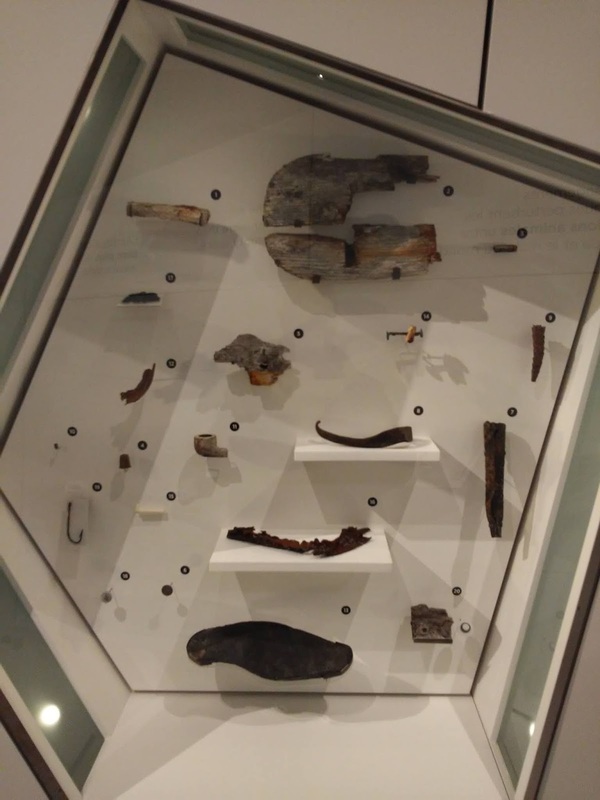 Items like buttons, pipes, or other tools were found by various search parties looking for the two ships commanded by John Franklin, but it wasn't until recent years that the ships themselves were located in Arctic waters. The Canadian Arctic Expedition was a scientific survey of the far north done a century ago, from 1913-18. Some of its artifacts are now here. 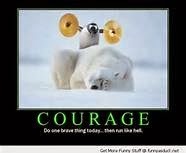 I leave off today with this item. While white people are a more recent arrival in the northern reaches of North America, the land has been populated by thousands of years by First Nations peoples who lived off the land and made responsible use of its resources. 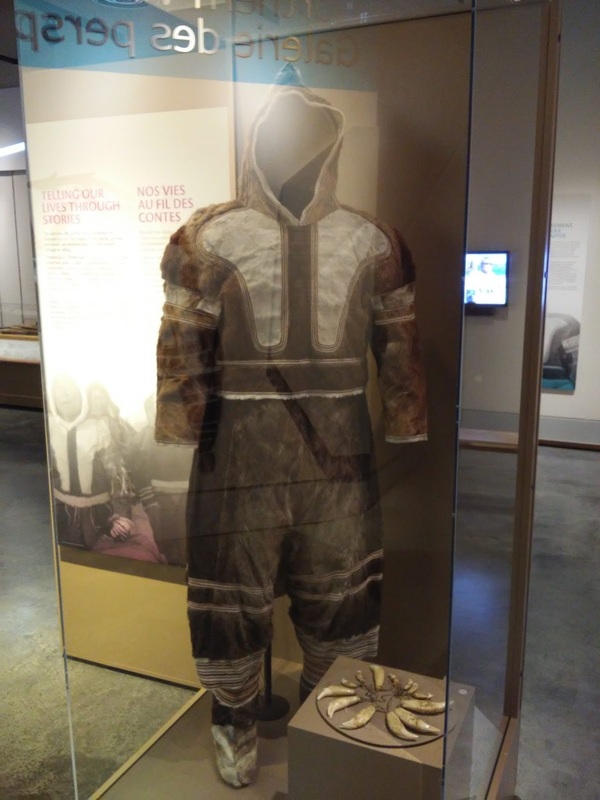 This parka dates back to 1916 and uses caribou skin as its primary material, typical of Inuit traditions. This is actually a warmer weather parka, meant to be used with a heavier outer coat in colder seasons. 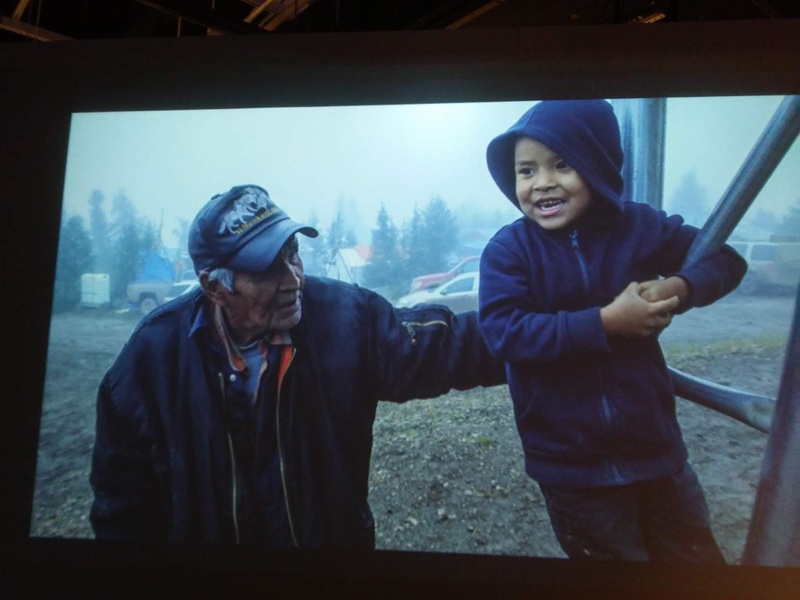 A reminder to members of City Daily Photo that the theme day for May is Purple. 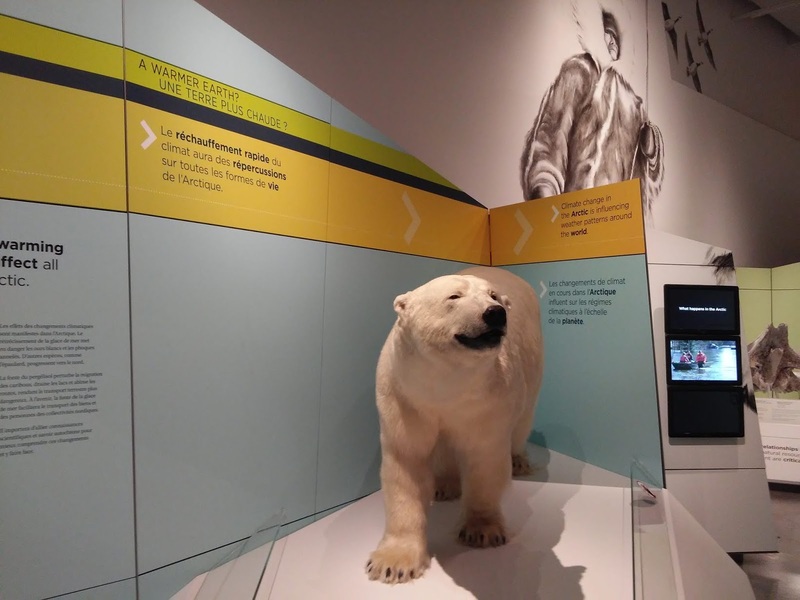 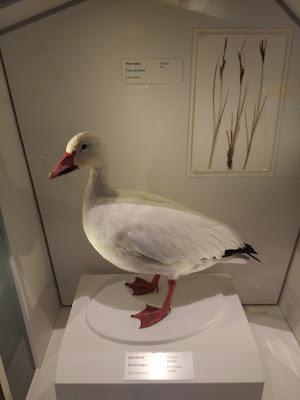 The Arctic Gallery at the Canadian Museum of Nature was added into the permanent collection in 2017, occupying the other gallery on the top floor of the museum. 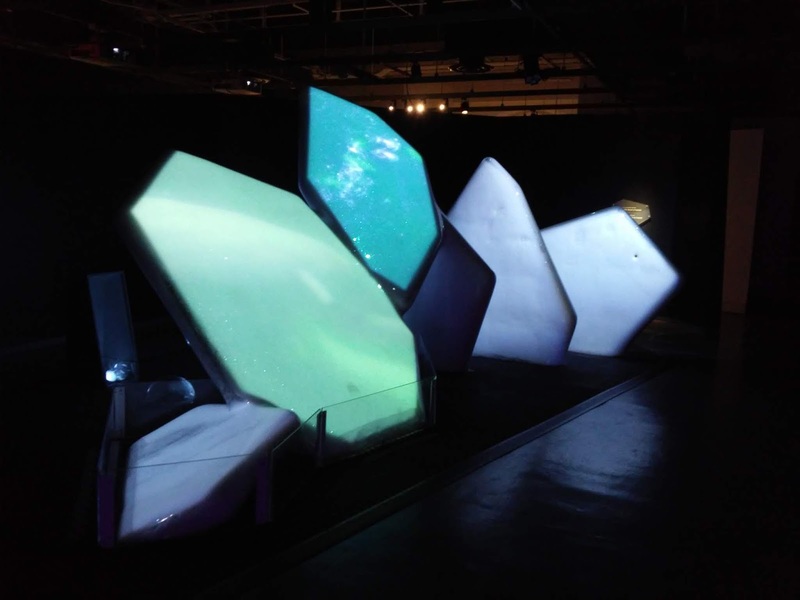 One of the first things the visitor sees is a set of slabs of ice, with images of the far north projected onto them. 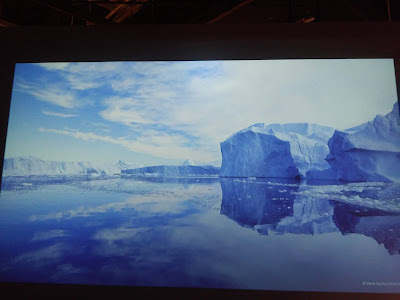 The setup for this is designed so that the melt water during the day is refrozen on the slabs at night, thus recycling the ice. Inside, the gallery examines both the animal and plant life of the far north, as well as human interaction with the land. 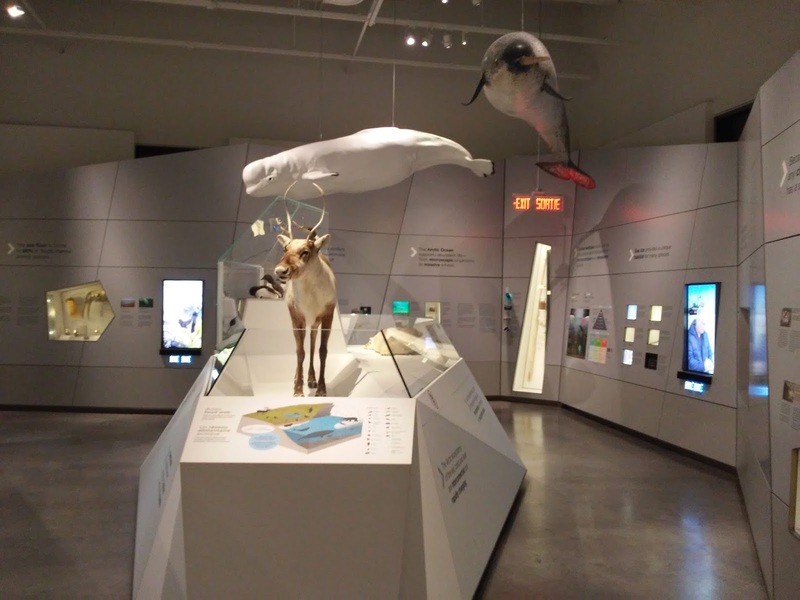 This space has been developed in collaboration with First Nations people, which reflects itself in some of the artifacts and display panels. 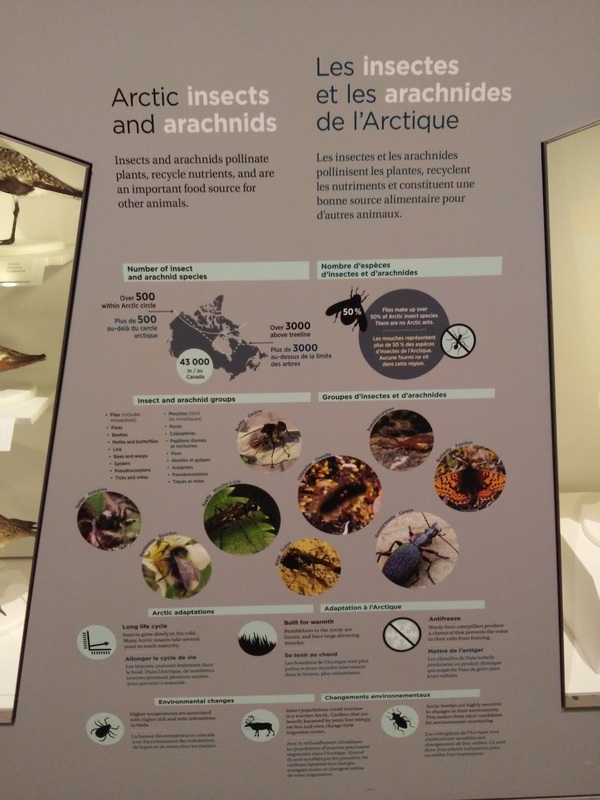 Here we see birds and information on insects one might find during the brief warm season in the north. Animals such as the musk oxen are displayed. 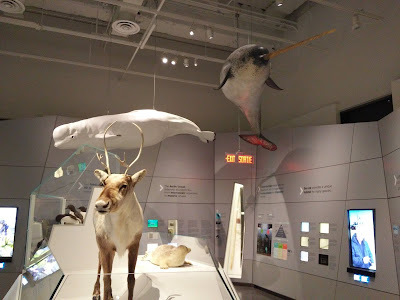 And other icons of the far north, such as the caribou, the narwhal, or the beluga whale. 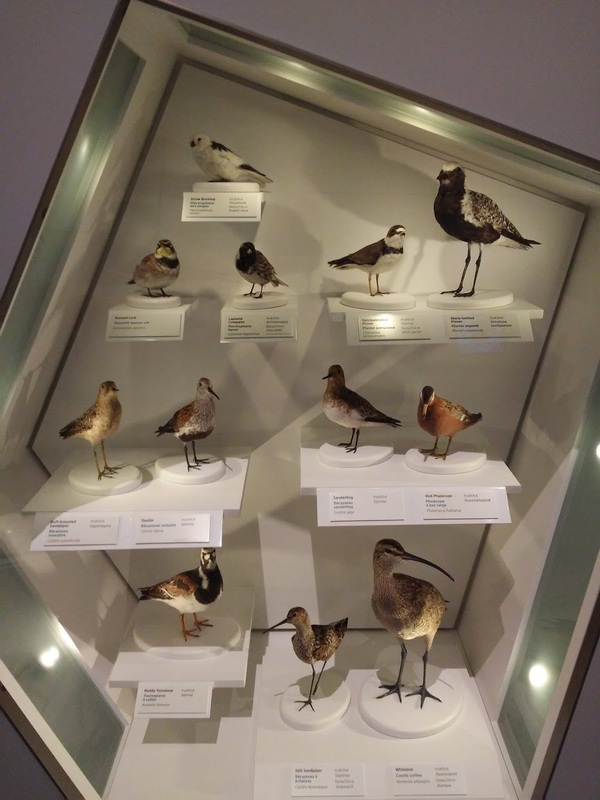 The latter two, suspended from the ceiling, would be replicas as opposed to preserved specimens. 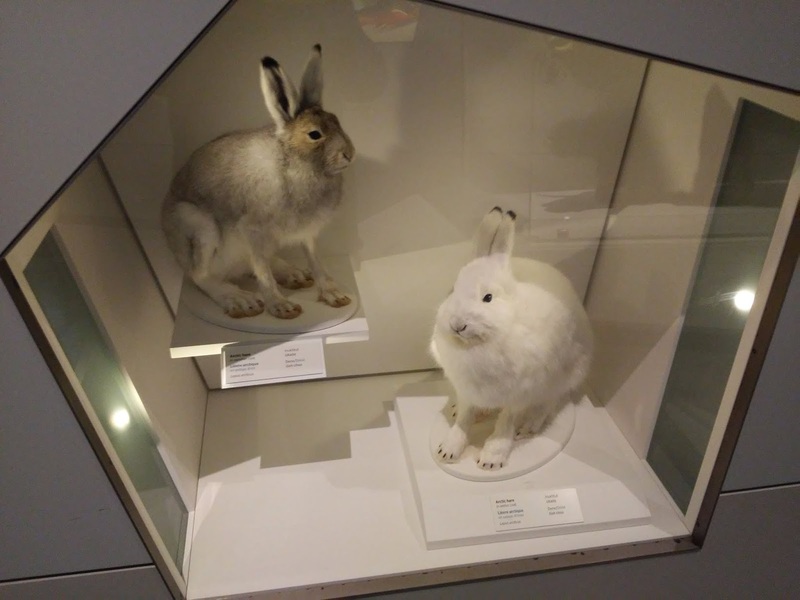 The Arctic hare, depending on which part of the Arctic it is in, might shift its colours during the year to blend in. We'll pick up here tomorrow. 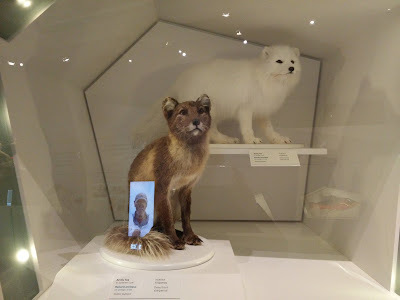 All content copyright 2019 by William Kendall, Ottawa Daily Photo, WMD Books.